For weeks, my son Jack has been demanding why our blog has not covered one of the most important scientific breakthroughs of our generation: the domesticated fox. Despite skeptical siblings, Jack insisted that foxes have been domesticated and may be purchased as pets. Finally, our crack team of researchers was assigned to the question and sure enough mad scientists in Russian have developed a domesticated fox out of the Siberian white fox (the picture above is just a red fox someone met and put on YouTube). The real pets are shown below and they are awfully cute. The story below reports that the domestication of the fox actually began in 1959 with a Soviet geneticist named Dmitry K. Belyaev who was interested in understanding the science behind domestication. His work with foxes is now continuing at the Institute of Cytology and Genetics at Novosibirsk, Siberia. I know that that sounds like the scene of a sinister plot in a 007 movie, but the facility has been breeding generation of foxes to develop a fox that is . . . well more like a dog. That is the different between taming and domestication, the later being a process of genetics and generational breeding. The domesticated foxes love people, crave petting, and love to cuddle. It is not clear how they act around chickens. Then there is the current price tag for your pet fox: $8000. That is a lot of Labradoodles. My first reaction to the effort was negative. It is not unclear why we want to change a beautiful wild animal. Moreover I am a bit worried about the confusion children will have when confronted by a fox and not knowing if it is domesticated or wild. However, domestication has occurred in other species, albeit for food or labor as opposed to companionship. It is not like the wild fox population is being harmed. The foxes used in the experiment are coming from Russian fur ranches not wild captured foxes. Yet, there is that unease about converting a wild animal. What do you think? 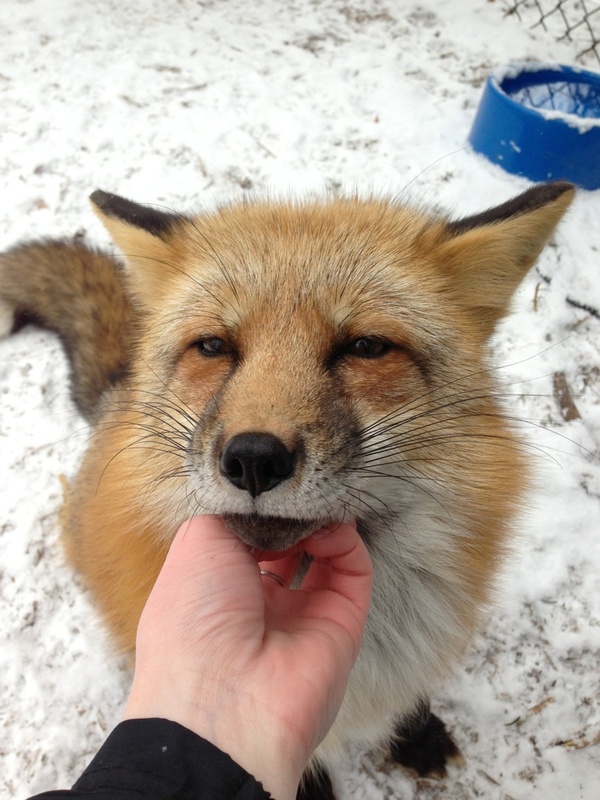 GOD gave man the right to domesticate foxes. And everything is subject to mans Vanity. Farting dog was royalty in the life before the life he was human. this is why. FartinDog is the first human I’ve heard of who wasn’t royalty in a previous life. People have tried to domesticate racoons. If they’re not given constant attention and receive reinforcement, they become feral very quickly, even those taken in as abandoned babies. I’ve also heard about people who raise wolves. Wolves are friendly to those they know, but become very aggressive towards strangers. It wouldn’t surprise me if either or both are true about foxes. They’re not dogs with thousands of years of selective breeding and domestication, they’re one step away from being wild. I wouldn’t trust one, no matter how tame it appears.